Penn placed third in the Lafayette Jeff Volleyball Tournament on Saturday, Sept. 16. 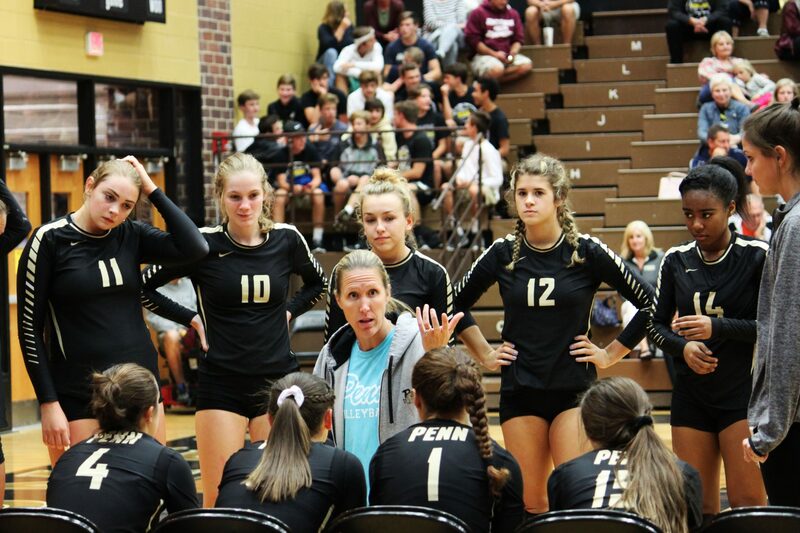 In opening-round play, Penn beat Bloomington North, 25-3, 25-12, and beat Covington, 25-22, 25-15. No. 3 Providence beat Penn 25-16, 26-24. Penn star Ally Hickey did not play in the match due to injury. In the third-place match, Penn Beat Homestead 25-21, 25-13. Sophia Cruz had nine aces to lead Penn in the four-game tournament. Julia Beers and Kylee Hixenbaugh had five aces each. Alyssa Torres had four aces. Italia Fields had 34 kills and Alyssa Torres had 23 kills. Rachel Rupert and Courtney North had 13 and 11 kills respectively. Naomi Willis had 54 assists in the tournament. Rachel Hickey led Penn with 54 digs. Kylee Hixenbaugh and Sophia Cruz had 25 digs each.